A tea bag is a small, porous and sealed bag filled with dried tea leaves or powdered tea, which is immersed in boiling water in order to make a hot drink of tea. Many of us have, at one point, overloaded our kitchen cabinets with tea bags in bulk. 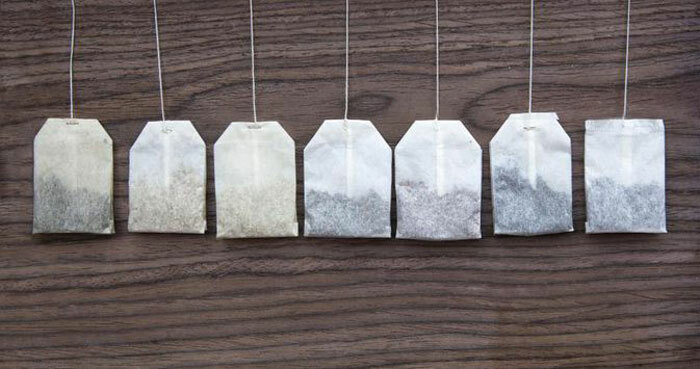 This would make us wonder if these t﻿﻿ea bags do have an expiration date. Can tea bags go bad? This will be a question you might have in case you have lots of tea bags just sitting in your kitchen for a long time. Worry no more, as we have the answer here. We will also provide you information regarding its shelf life and the many ways on how to effective store them so it does not go rancid. Can Tea Bags Go Bad? To answer the above question, yes it does go bad. Just like any food product, tea bags also spoil especially you have them stored in your kitchen counters and pantry for two to three years. It should be noted that if these tea bags were properly stored, it would not go rancid. However, they can lose their original taste and flavor. Teas are full of flavor especially if you consume them before the “best used by” date you can find in the packages. The tea losing its flavor after being stored for a long time is the one thing you should worry about. If you want to retain its taste and flavor, there are many ways on how to effectively store it, which will be discussed later. How long do tea bags last? Unopened packages of tea bags can last up to a year after the “best by” date found on the packaging. However, it does expire and will eventually lose its taste. To add, the shelf life of tea bags will depend on factors such as the “best used by date”, its method of preparation and most importantly, how it was stored. As mentioned earlier in this article, tea bags go rancid if not stored properly. This is also the reason why manufacturers opt to place “best by” and “best used by” dates instead of an expiration date. This would mean that there is no significant loss of flavor if you consume it before the date indicated in the packages. If you consume the tea past that date, it will still be safe. However, the flavor will not be as good as the original state. To add, most manufacturers will mention that their tea will taste flavorful for up to two years after being produced in the factories. After those two years, the tea will eventually lose its flavor. If you are wondering how to brew a perfect cup of tea, click the video link below. Tea bags should be stored in a dark and cool place, ideally in an airtight container. These conditions will aid in maintaining its best flavor possible. However, manufacturers do not recommend that you store them inside the freezer or refrigerator. It is also claimed that by doing so, the flavor of tea will be affected negatively. It should be noted that you also should remember that getting moisture on the tea bags will make it damp and will not be good to drink in a matter of days. Proper food storage should always be done because it is healthy, cuts food cost and is environment friendly. It is also vital to remember that you should avoid using plastic sandwich bags and wooden containers. The reason is because doing so will lessen the quality of ﻿the tea and worse; it might shorten the shelf life of the tea bags. 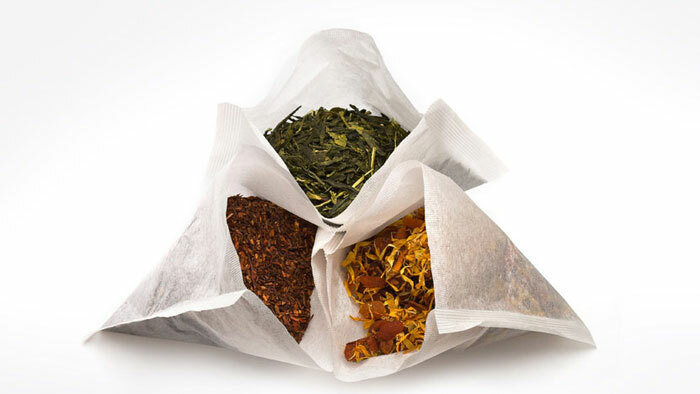 Storing in a kitchen cupboard is ideal for tea bags as long as the container is airtight. As mentioned before, tea bags can go rancid if stored in a humid environment. This is the reason why they should be kept in cool and dry place if you wish to prolong its shelf life. If they are left in a moist environment, they will most likely be moldy. If you are not sure if the tea bags have been wet, you have to check for any signs of mold. If you see water, there will also be mold and you have to throw it away. However, if it is water and mold free, you may try brewing a cup so you can taste it. Obviously, if moldy and strange masses appear in the brewed cup of tea, you should also discard it. For its taste, rancid tea bags may be oddly stale. The best way to address the issue of “best used by” date is to only buy the right quantities of tea bags. You should never buy in excess if you know you won’t be able to enjoy it beyond the indicated date. It would also mean that you can cut costs and you would never waste food. Can tea bags go bad? By now, you should know the answer to that question, as we have already provided you some valuable information regarding tea bags. It is good to be armed with this information because they may come in handy. Tea bags can go bad especially if you store them in a humid environment. Shelf life is up to two to three years as long as you store them properly. Tea bags should be stored in airtight containers and in a cool and dry place but manufacturers do not recommend storing them inside freezers and refrigerators. To tell if the tea bags have gone rancid, check for if there is a presence of water and molds. You may also try tasting it. If it tastes stale, throw it away. Did you enjoy reading this article? If you have any other information you wish to share, please leave a comment below.